MANILA, Philippines - Just a few hours after President Rodrigo Duterte delivered his first State of the Nation Address (SONA), a cyclist tragically died in a road rage shooting incident in Quiapo, Manila on Monday night, July 25. The victim identified as Mark Vincent Geralde, a 35-year-old game attendant, was shot by an unidentified car driver of a red Hyundai Eon with conduction plate M03746 along P. Casal Street in Quiapo at around 9:30 p.m.
Based on the results of police investigation, the fight started after the car hit the bicycle along the said street. Geralde and the suspect engaged in an argument which escalated into a short fistfight. After the fistfight ended, the suspect went inside his car and continued arguing with the cyclist. Moments later, the suspect went out of his car and began shooting the cyclist. A CCTV footage of the disturbing incident is now making the rounds on social media. After shooting Geralde in the face point blank, the suspect fired three more shots at him even after he collapsed. Four bullet shells from a .45 pistol were recovered at the crime scene. Rosell Bondoc, an 18-year-old student, was also hit by a stray bullet from the suspect’s gun. Bondoc is currently being treated at Mary Chiles General Hospital. 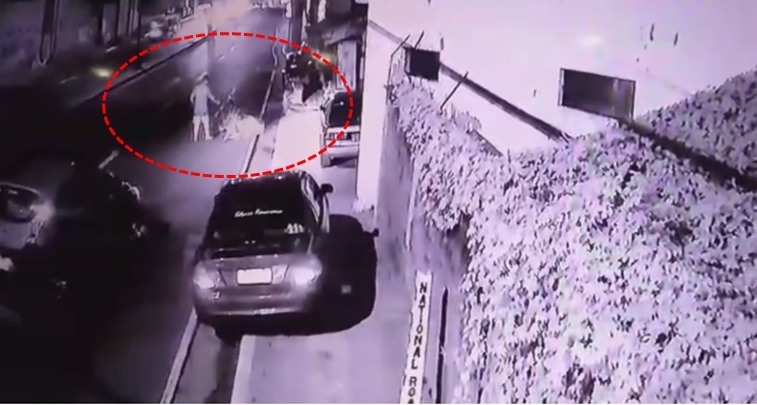 Top Gear Philippines, which shared the video of the incident on its Facebook page, has already sought the help of Hyundai Philippines to track down the owner of the Eon car based on the conduction sticker. Hyundai is yet to give a feedback. Moreover, Top Gear Philippines urged other passengers inside the car to give information about the suspect. The suspect will be facing possible murder and frustrated homicide charges. His case has been brought up to the MPD headquarter's homicide division.